A meteorite entered the Earth’s atmosphere undetected by existing space-monitoring systems and slammed into Russia’s Ural Mountain region last February, accompanied by a massive sonic boom that blew out windows and damaged thousands of buildings around the city of Chelyabinsk, injuring over 1,500. NASA estimated the meteorite was roughly 50 feet (15 meters) in diameter when it entered the atmosphere, traveling many times faster than the speed of sound, and exploded into a fireball brighter than the sun. A team of researchers has recently studied two decades’ worth of data gathered by US government-run infrasound sensors positioned around the planet and discovered that 60 asteroids up to 20 meters (65 feet) in size had crashed into the planet’s atmosphere over the period – far more than had been previously thought. 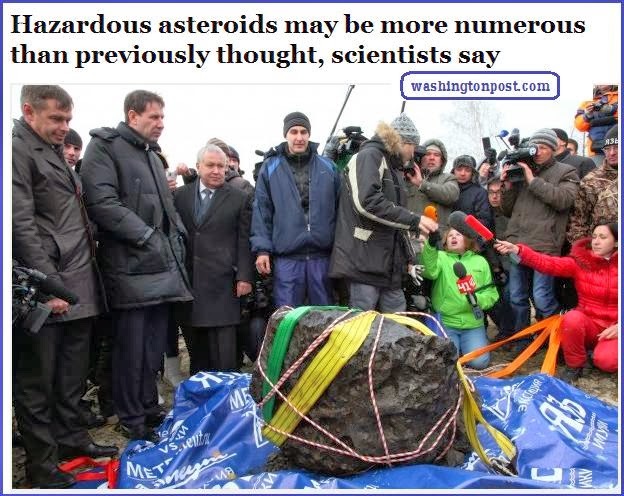 The scientists suggested in a report published in Nature magazine that asteroids like the Chelyabinsk one could strike the planet every 20 or even 10 years, compared with an earlier estimate of once a century. Despite the growing concern about the asteroid threat, no anti-asteroid defense programs have been developed in practice so far, with only several theoretical concepts being studied.